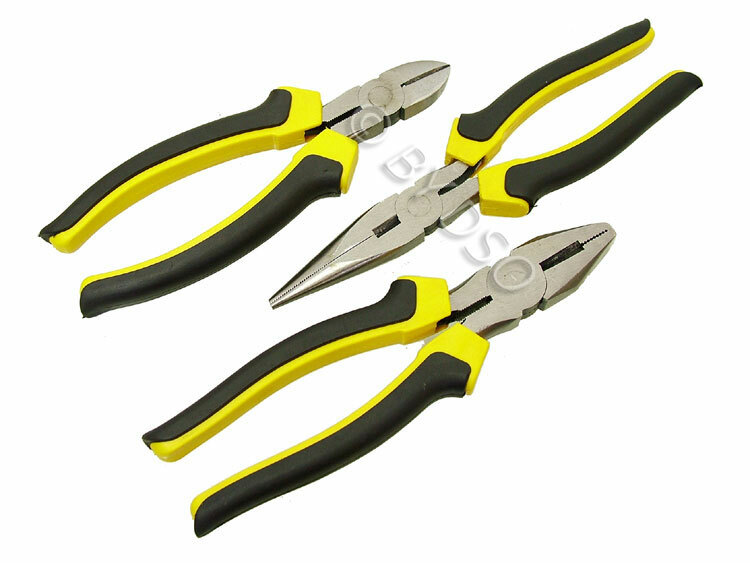 This top Quality set of Pliers have been drop forged from chrome vanadium steel, hardened and tempered with fully polished heads for corrosion resistance. Cushioned grip handles for superior comfort and control. This set comes complete with diagonal pliers, long nose pliers and combination pliers to tackle almost any job in the trade or as a home DIY'er.